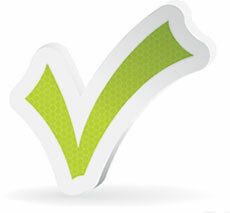 True of False: A Home Improvement Salesperson (HIS) does not have to submit a new application if they change employers. True or False: An A – General Engineering contractor may drill a water well as long as it is part of an engineering project. True or False: A C-22 – Asbestos Abatement contractor must hold an active registration with California Division of Occupational Safety and Health (DOSH). If the applicant has a college degree or certificates. If the applicant has served as the qualifier on a license in the same classification they are currently applying for. If the applicant holds another classification that is significantly related to the classification applied for. True or False: The C-47 – General Manufactured Housing contractor may only set and install manufactured homes; repairs require the B – General Building classification. 1: True – The HIS registration number stays the same; however, notice by the current employer must be submitted when an HIS is hired or leaves employment. 2: B – The C-53 – Swimming Pool contractor. The C-21 – Building Moving/Demolition classification is not appropriate, since a swimming pool is not considered a "building." 3: False – Only the C-57 – Well Drilling classification may drill a water well. 4: True. A C-22 – Asbestos Abatement license cannot be issued unless an applicant or contractor is duly licensed with DOSH. 5: B 6: False – The C-47 – General Manufactured Housing classification may alter, repair, and install manufactured homes.